I wrote at the beginning of the year about establishing habits instead of making resolutions (you don't hear much about resolution anymore do you?). I wrote that because I started a habit back then and wanted to see if I could keep it going six weeks. Why six weeks? I was misinformed about how long it takes to establish a habit. I thought it was six weeks before it becomes a habit that's hard to break. It's probably longer. But six weeks is a good start. My habit was to ride a bike 10 miles a day. It's a stationary bike — this is winter in Chicago after all. The goal wasn't see if I could, over the six weeks, increase the speed or decrease the time. It was just to ride a bike 10 miles every day. No other restrictions. The overall objective wasn't really even to ride the bike. It was to make a break in the day to be more active and healthy, which can have a cascading effect on the rest of your life. But the activity itself had to be clear and measurable, or I couldn't hold myself truly accountable. There's all kinds of schemes about how to keep yourself accountable while you're establishing habit. The most popular seems to be tracking in apps like Streaks. I decided not take that route. 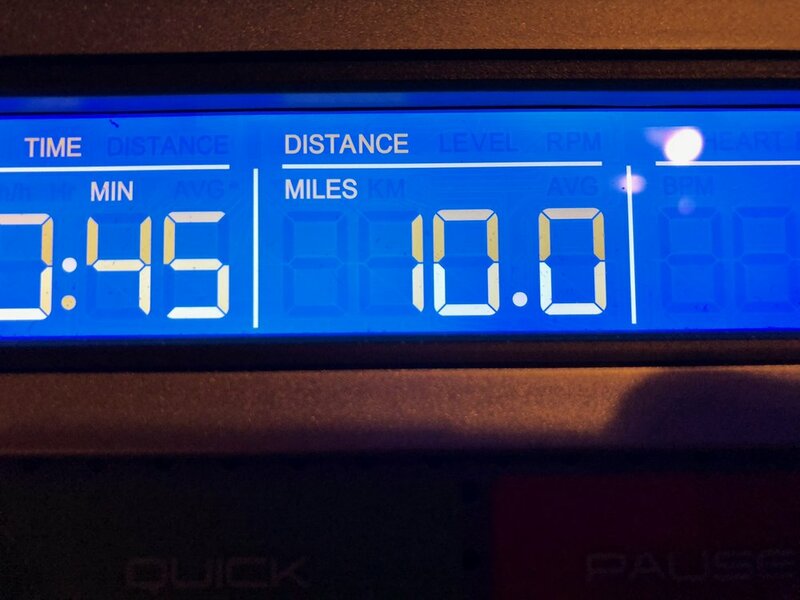 Instead, I took a photo every day as the bike crossed the 10 mile mark and texted it to my wife. Sometimes she would send back encouragement. She even promised a dinner at my favorite restaurant if I made it a month. Here I am at the end of six weeks and I haven't missed a day. There's just something more real about allowing human interaction to keep you accountable. Apps have never done it for me, but this worked. Here's to another six weeks! One of the many wonderful things about art is the lack of rules. No goal is needed, unless it’s created by the artist. But, honestly, we tend to let others (camera makers, bloggers, authors, professional photographers) make the rules we follow. It’s a recipe for homogeny. Even if we commit to create our own goals, we tend to just add them to the goals and expectations already present in the photography industry. This can become overwhelming. An antidote to this is to chose a direction, and let go of goals. A direction answers the why. It’s a stream that flows around obstructions. It fosters habits and process over products and outcomes. If you foster your photography habit daily, over years you’ll build a body a work that can define a life in art. This is direction. This is more important than any project or goal could be. As artists, we should recognize the lack of goals as one of the most important tools we have and, perhaps, our greatest advantage over professionals.